Hockey... it's a sport with super passionate fans and supporters... but somehow it is the least in popularity of the four major North American sports. Is it because of its inaccessibility to start playing for most youths in America? The lack of television coverage? Poor marketing by the NHL? Well, that's a discussion for another blogger to tackle... today we'll look at the pros and cons of collecting it's cardboard. Like the sport that it portrays, hockey cards come in fourth out of four in terms of hobby interest. So why get into something that's the least popular option? We'll examine that today. Obviously, if you're favorite sport is hockey... and you collect trading cards... you're going to go the hockey card route. So for those folks, this really isn't for you. But what if you're a card collector that follows multiple sports with hockey being one of them. Why would you want to spend your hard earned money on hockey? Well, as I mentioned at the very beginning of this posting, hockey fans are super passionate. In fact, they are known to be some of the most loyal and vested as a group towards their teams. These same passionate fans share that same passion towards the hockey card hobby. The hockey card community is full of people who truly enjoy the hobby and try to make it better for others. Many of these collectors are in it not to flip cards for a quick profit (though there are those who do), but rather to collect cards of the teams they love and are loyal to. And in something somewhat unique to hockey, there are also those who collect out of country loyalty - whether it be towards Canada, Sweden, Russia, the United States, or one of many others. 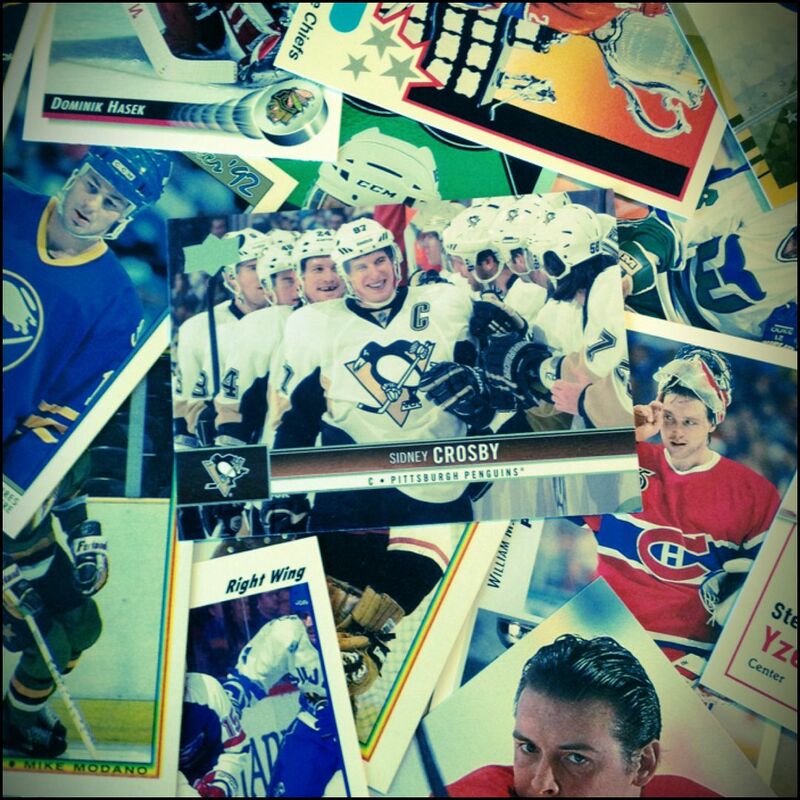 The pure passion that hockey card collectors have is one of the great reasons to choose hockey. Hockey is also one of the easiest sports to collect in terms of value. 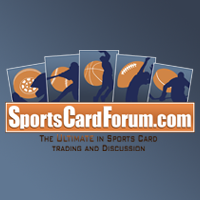 The sheer number of people collecting the other sports drives up card values in those sports. For those who want to collect for big dollar amounts, that's a good thing... but for a collector who wants to be able to get the cards of the player he or she wants, hockey is the sport that best meets those needs. One of my favorite sets to collect each year is the SP Authentic Future Watch autograph set. I typically buy a few boxes of SP Authentic to try my luck in pulling the top card in the set, but it hasn't happened yet in the past few years. In 2009 I had to turn to eBay to buy John Tavares and Matt Duchene. In 2010 I had to buy Taylor Hall and Tyler Seguin. And in 2011 I had to find Ryan Nugent-Hopkins. But even though I couldn't pull these guys out of wax, I could pretty much get these top cards for around the price of a box. That isn't the case with some of the bigger football, basketball, and baseball names. Getting an autographed Andrew Luck... Bryce Harper... Kyrie Irving? Get ready to pony up some cash! For collectors who enjoy memorabilia cards, hockey is definitely the sport to find the sweetest patches. Many hockey sweaters include a full logo of the team. Because of this, patch cards in hockey can features some amazing and unique pieces. Some particular teams of note are the Red Wings with their tangled up red and white parts of the winged wheel, the Minnesota Wild with their fuzzy green and red logo, and the now defunct Atlanta Thrashers had logo that featured a myriad of crazy colors and breaks. You cannot deny how great some of these cards look. It's definitely much better than just a chunk taken off a large number patch (ahem... football!). And if you are into hard-signed autographs... hockey is the sport with the most prevalent cards of this type. I have already mentioned SP Authentic earlier. Each Future Watch rookie card is hard-signed on-card. And with Panini, their Contenders brand features all hard-signed rookie cards. But the same cannot be said of Contenders football. It's the same brand as in hockey, but there are many sticker autos to be found within the football version. 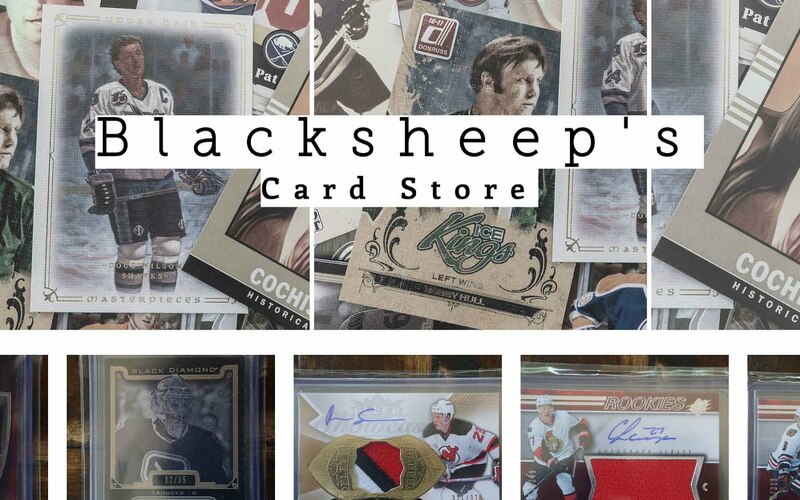 Perhaps because of hockey's lower standing in terms of the major sports, hockey card companies have more access to the players, and thus can provide a more personal product. I'm not sure the exact reason, but what I am sure of is that hockey collectors can enjoy some of these special perks that aren't as readily available with the other sports. As a hockey card collector, I have found a lot of joy and fulfillment. Though hockey isn't the most popular, most valuable, or most recognized sport... it provides those who choose to collect it a unique experience. I wish that there were more hockey card enthusiasts around me, but thankfully, the internet has brought us all a whole lot closer together. Let me know why you have chosen to collect hockey cards! 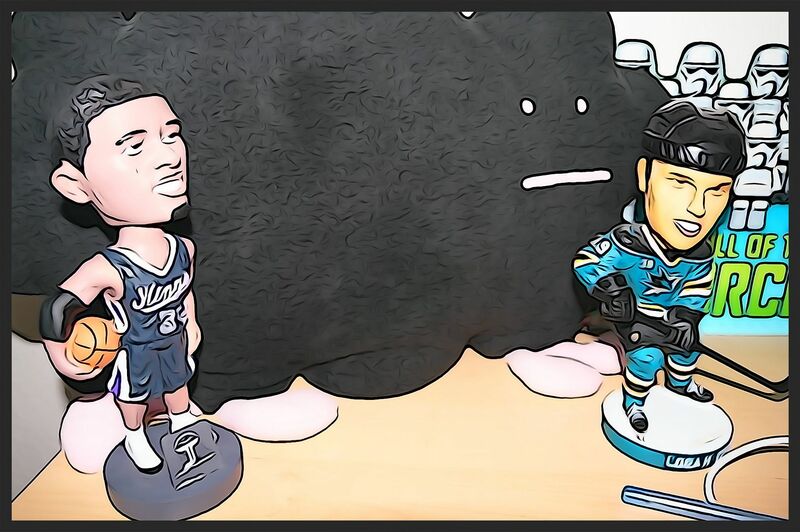 What would make you collect hockey over baseball, basketball, or football? Tell me in the comments section. Basketball rarely even makes it into the sports page in the local newspapers or online sites. to consider the thrid most popular game worldwide behind soccer and football a niche sport is quite the understatement. Outside of the US, hockey, soccer, rugby, and cricket far outsell and have more fans/tv revenue etc than baseball does. is baseball then a niche sport? Hi, thanks for your comments. I definitely understand where you're coming from. I'm writing purely from the US perspective. Here in the US, hockey is a very distant fourth in terms of popularity. In fact, the coverage of it barely makes our biggest sports network, ESPN, and we are lucky if there are box scores in the papers. In looking at card sales, basketball actually does very well... again, within the US (and I believe Asian countries too). Also, in terms of interest, basketball, football, and baseball breaks dominate group breaks and online box breaks. From a worldwide perspective I would agree with you that other sports are more popular. I should have mentioned the POV somewhere in this series of postings. Thanks again for your input. I follow your blog every day! Keep going! good stuff! I am a huge hockey fan from Montreal and, of course, hockey cards fan. But I have a question for you. What do you think of golf cards. I recently discover that they exist and some of them look really sharp! Hi there! I have enjoyed seeing the golf cards. I occasionally follow golf, but am not an avid fan of it. I agree that the golf products out there are pretty nice! Great posting! keep it up. My favorite sport is hockey, so this is why i collect them. Its unfortunate its not as big as the other sports. The only other card set i have bought this year was the walking dead box, which was very interesting. If i would buy a box of another sport, it would probably be football or basketball.